One of the common complaints of women as they mature is loss of tone in the muscle and soft tissue of the upper arm. This area has a tendency to accumulate fat and to droop much more than the forearm. Laxity of the skin in this area allows the skin to move back and forth with arm activities and, at worst, to swing freely or to move with the wind. This can cause problems with the way clothing fits and with physical activities either with embarrassment, or with functional problems.  Occasionally, this problem can be addressed by liposuction alone, but often it is best treated with a procedure called a brachioplasty or arm lift.  During the arm lift procedure, the excess skin and subcutaneous tissue is removed surgically and the incision is carefully closed. The incision can placed either on the inner aspect of the arm, or at the lower or posterior margin of the arm. This decision is made between the surgeon and the patient to best satisfy the patient’s needs and desires. The most common complaint about the procedure is the presence of visible scars. The scars mature with time and may become inconspicuous. The procedure is very successful at getting rid of the offending extra tissue and its unsatisfactory appearance and behavior. This procedure is typically done as an outpatient, but may be followed by hospitalization if it is done at the same time as other body contouring procedures. Often a compression garment is worn by the patient for a few weeks after the procedure. Following healing, most patients report satisfaction with the improved appearance of their arms and fit of their clothes. The absence of bothersome arm motion is also a huge benefit for many patients. Contact our practice today to schedule your consultation with Dr. Jeffrey Copeland.